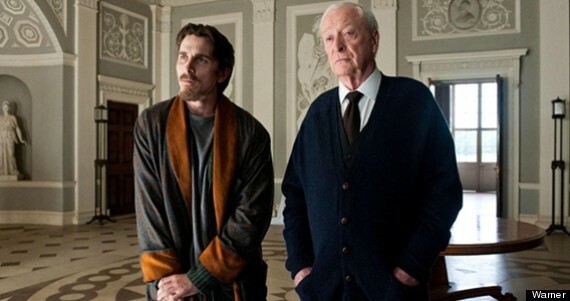 Two leading actors in The Dark Knight Rises, a film with a lovely reading from Dickens. The Dark Knight Rises is a very long film indeed, and Bane is a horrible character. But I got through it. Towards the end – I won’t give away any spoilers – there was a moment that helped me get through it. A character was reading from a book, a Penguin Classics edition judging by the white stripe. I wasn’t sure of the quote’s origin, but as soon as I got out of the cinema I looked it up, and found it to be the ending of A Tale of Two Cities. Below are the passages that I think were read aloud in the film, although I cannot be entirely sure if it was a longer or shorter section. The ending of A Tale of Two Cities does match the film well, and the reference did seem to add a lot more depth to the plot, I felt. Have you seen the film? Did you enjoy this Dickens quote?